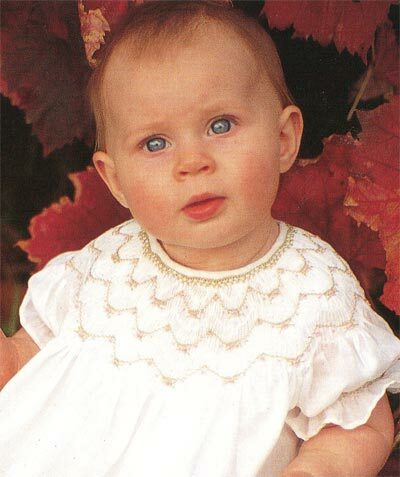 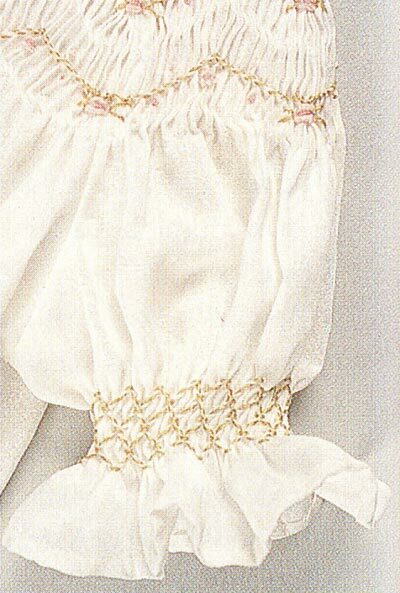 Description: A classic bishop dress with smocked scallops and rose buds. 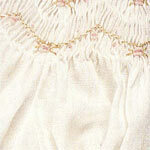 Backsmocking is also worked to give a rippled effect. 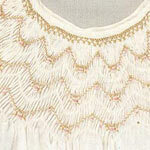 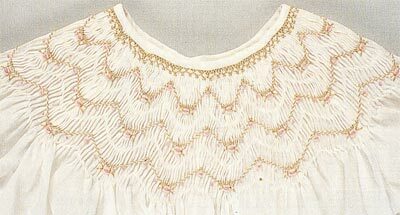 The sleeves are smocked in a simple half space wave design forming diamonds.